HP is very much a company in transition, again, as it prepares for a demerger that will leave two Fortune 500 companies – HP Inc (PCs and printers) and Hewlett Packard Enterprise (everything else). This post is about the latter. One issue with any analysis is that the situation could so easily dramatically change – rumours abound for example that the newly demerged HPE will immediately merge with EMC, for example. Leaving such speculation aside, HP’s direction of travel makes sense- becoming more developer-friendly. For all the brickbats thrown at Leo Apotheker, one thing that began to change at HP under his short watch was the company view on developers. HP has historically sold to seemingly everyone in IT except developers – it did a great job of selling to network managers with OpenView, service managers during the ITIL service management wave with Service Desk, QA teams with the purchase of Mercury Interactive, which essentially acquire the 2006 load testing market, and so on. 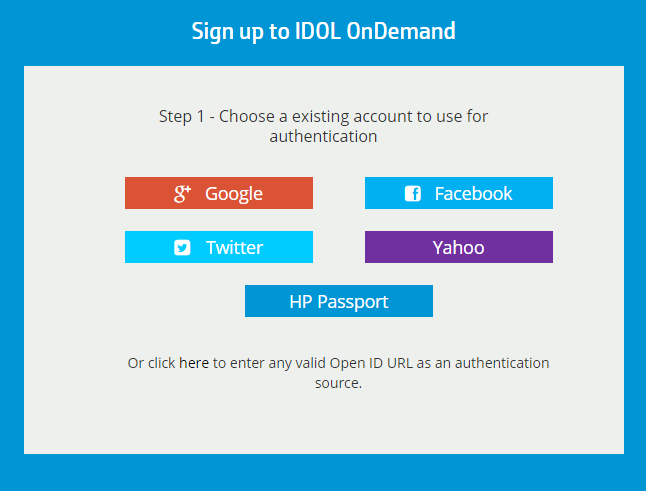 HP was creating an Enterprise IT Management play, rather than a developer play. HP was also very much a delivery vehicle for packaged software ISV partners, rather than inhouse development (IT doesn’t matter, remember?) – such as SAP. 2006 however may have been Peak Waterfall – we’ve been moving to agile ever since. So what’s a company to do when it has a stack entrenched in customer shops aimed at a previous way of doing things? Emphasize the culture change in moving to the new era, and retool accordingly. Which is where Redmonk comes in. We were invited to HP Discover recently to talk to customers and partners about DevOps and what it would mean for them. We weren’t talking product, but all the soft stuff. After all, as Adrian Cockcroft says: “DevOps is a reorg”. The conversations were fascinating. While HP does have some customers that are already wearing the t-shirt and the hipster beard, having reorged, rolled out Chef and Puppet, and then decided to standardise on Ansible, the great majority are still just wondering just to embrace this new thing. Change is hard. For traditional enterprise ops people is is especially hard. Related to the DevOps conversation is the related transition to test-driven development and continuous deployment – given the business need to deliver more digital services to market faster. HP is decomposing its ALM tools to make them more applicable to the new era, in the shape of new tools like leanFT for functional testing, which supports Cucumber and JUnit, and of course Git, (now essential for any modern dev tool). HP has now adopted the software engineering mantra of Shift Left testing, and needs to encourage its customers to do the same. The idea of Shift Left, is that unlike Waterfall, testing is moved earlier in the development cycle. Agile is all about about Shift Left- testing is something developers do as part of their routine – any good engineering manager today is all about the tests. Of course you can’t completely eliminate bugs before pushing to production, no matter how solid your testing approach, so I also found HP’s mobile app crash analytics platform HP AppPulse mobile interesting – because it feels reasonably modern, although its not crashalytics, which has the Developer Aesthetic down cold, obviously. Which brings me me neatly to Grommet. 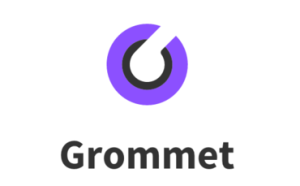 Not Wallace and Gromit, but Grommet – a UX framework from HP based on ReactJS. I was walking on the shop floor when a purple logo caught my eye. I stopped to find out more, and HP was just about to launch Grommet. The code was already on Github, but the team was still wrangling the logo, trying to decide on the right shade of purple, before the press release went out. We had a great conversation. Grommet is now a framework that instantiates a set of HP design guidelines, and apparently the HP Software CTO has now mandated than all new software will use Grommet and adhere to the guidelines. So HP now has a framework designed to help developers and designers work together, based on a popular open source project from Facebook and Instagram. So much so now. Talking of the Developer Aesthetic another thing that impressed me was the process whereby a developer gets access to HP’s Idol OnDemand machine learning tools. Unlike the sign on process from pretty much every enterprise software and or cloud asset, this one is dead simple, in fact what you’d expect from a cloud native company. Shortly after noticing this I met Sean Hughes, HP’s new worldwide developer relations lead. He gets it. Before signing off for now, I will just say that like IBM, HP is all about packaging the open source cloud stacks- HP HelionCloud, the company’s hybrid platform, is a Cloud Foundry for polyglot developers, OpenStack for ops people burger, which will be supporting Docker etc. One final piece of evidence HP wants to engage with developers- it is sponsoring our latest programming language rankings. HP isn’t there yet, and the demerger could still throw up a lot of surprises, but the company is making progress in better serving the New Kingmakers. HP is a client, paid my T&E.